I received a mini donut pan this week so I absolutely had to try it out. 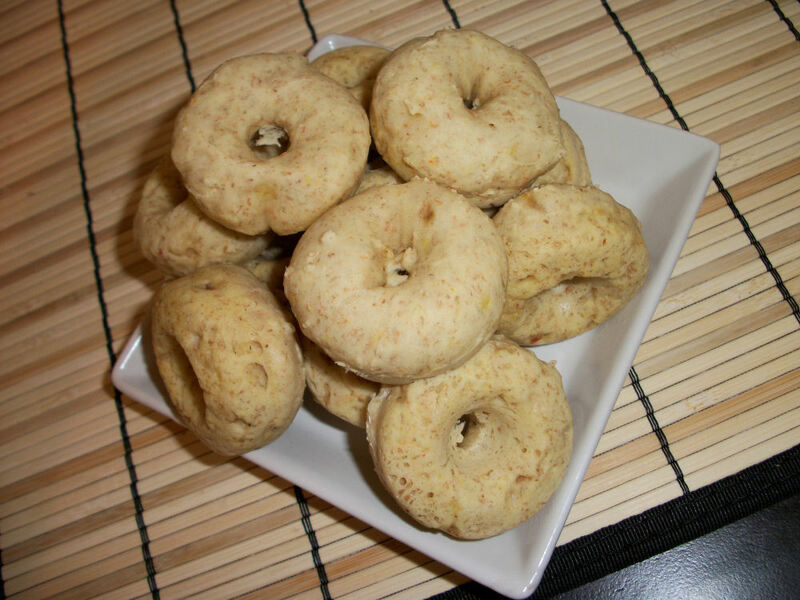 Healthier baked donuts? Yes please! I’m still tinkering with the spices I had bought from that lovely store. Today, my eye fell on the package of whole mace I had. So pretty and orange. I opened the package and gave it a sniff. YES! I never stopped and realized how delicious mace smells all on its own. I keep using it in blends. This time it needs to shine. Grinding it up made it smell even better! Mmmmm, I must do more with mace in the future. 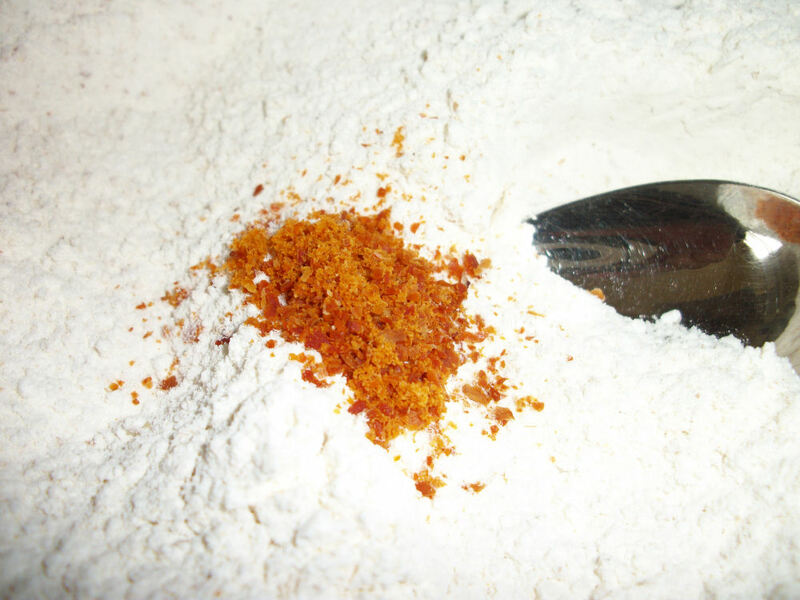 Combine the flours, sugar/splenda, baking powder, baking soda, and mace in a bowl. In a separate bowl combine the milk and lemon juice. Stir. Add the banana, melted margarine, and egg substitute. 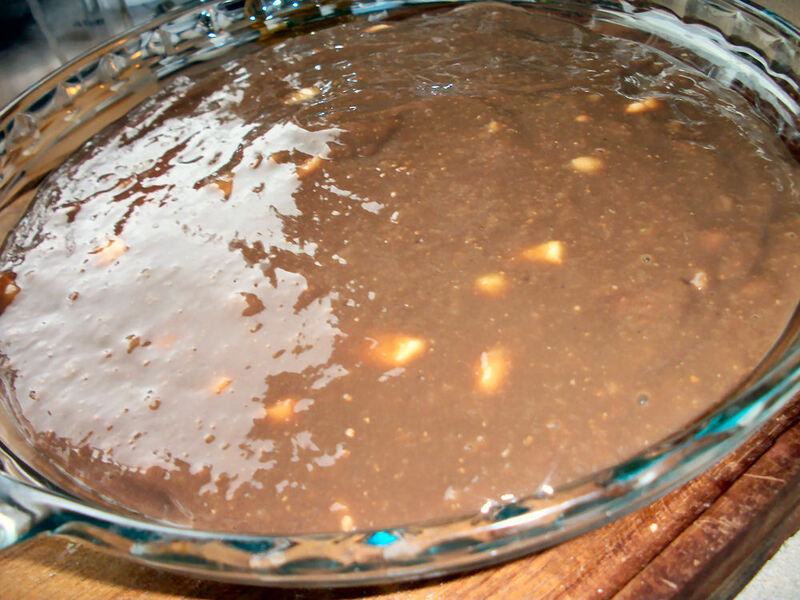 Add the wet mixture to the dry and stir until well mixed. Fill the mini donut pan and bake at 325F for 12-15 minutes. The donuts should spring back when touched. If you don’t have a donut pan don’t worry! 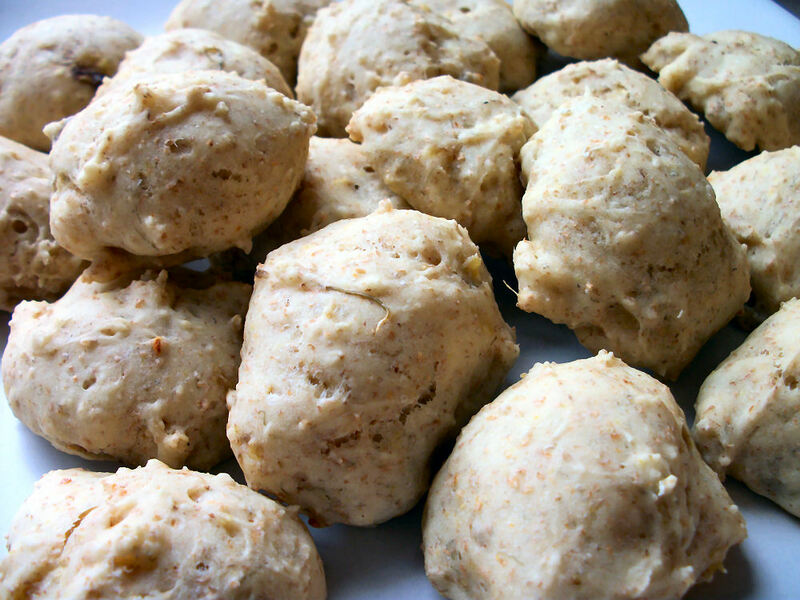 These work out great as cake like cookies or even mini muffins. Makes 43 mini donuts, cookies, or mini muffins. Each (baked with splenda) contains 38 calories, .3 gram of fat, .5 gram of fibre, 8.4 carbs, and 1.6 grams of protein. 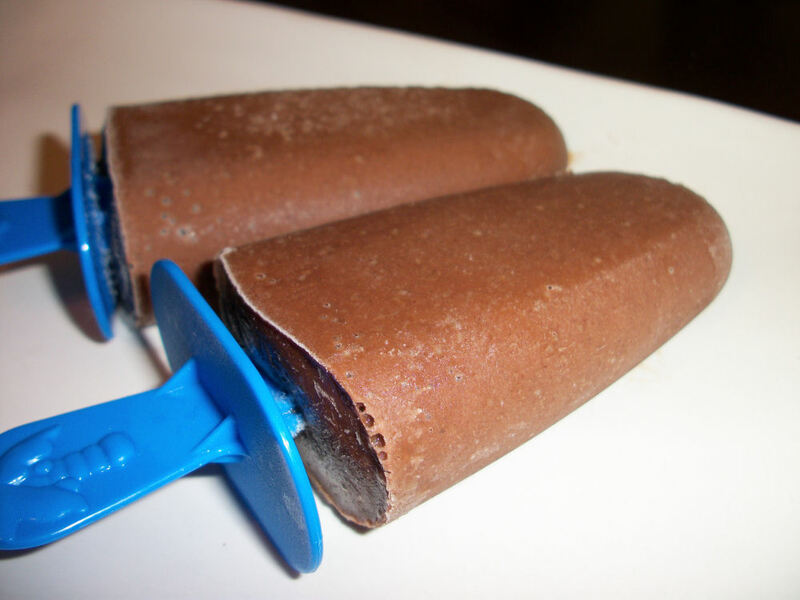 With sugar they contain 56 calories, .3 gram of fat, .5 gram of fibre, 12 grams of carbs, and 1.6 grams of protein. To die for when they are still warm. Mmmmm. Saving some of these for breakfast with latte before we start running around tomorrow. I love it when bananas get neglected around here. It screams “make me into banana bread.”. Yes, the bananas tell me to do things…is that wrong? hehe. Making a whole loaf makes it too tempting to cut thicker and thicker pieces. Muffins are definitely helpful for portion control. My husband tends to call these cupcakes rather than muffins though. 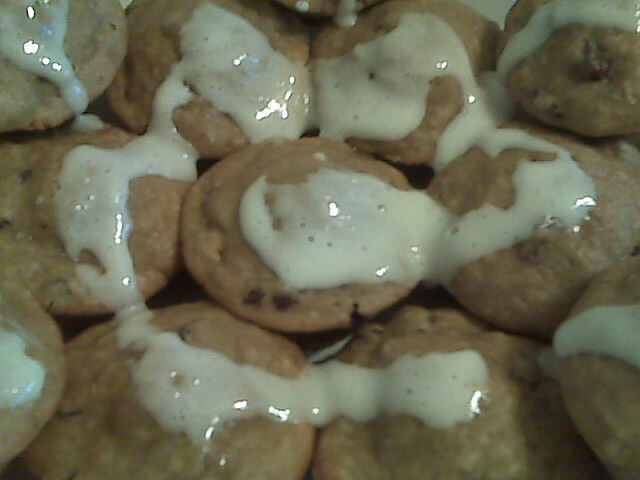 They are just that full of dessert goodness. Healthy enough for breakfast but sweet enough for dessert. Overall full of win. These are always a hit at potlucks and parties too. I once made them with the mini muffin tin for a baby shower. Adorable and devoured! 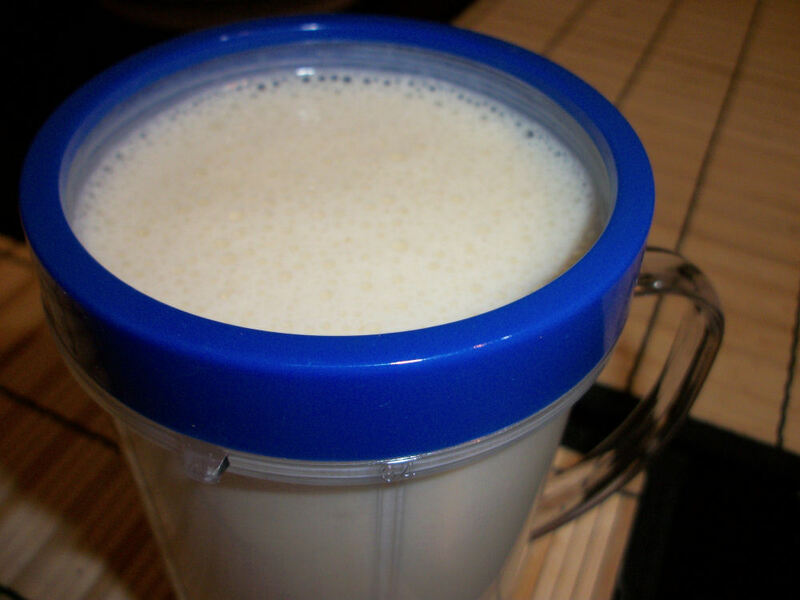 Blend together applesauce, brown sugar, bananas, 2 tsp lime juice, egg and egg white. In a separate bowl, combine flour, baking powder, pumpkin spice, cinnamon, and salt. Gently stir the banana mixture into the flour mixture. Halfway through stirring add the buttermilk and raisins. When just combined divide the batter into 12 sprayed muffin cups. Bake at 350F for 25-30 minutes or until a toothpick comes out clean from the center muffin. Cool for 10 minutes in pan then remove from pan to rack. Combine the icing sugar and 1 tbl lime juice and drizzle on top of the muffins while they are still somewhat warm. This makes 12 muffins, each muffin has 167 calories, .8 grams of fat and 1.3 grams of fiber. These always get devoured fast in this hobbit hole. In fact moments after this picture was taken they started disappearing. I think the icing gives it that extra bit of tempting, as if banana bread was not tempting enough on its own. Enjoy!